April Senter is the Owner/Operator of Senter Legal Services, a full service real estate law firm in Flossmoor, IL. Ms. Senter feels called to work with communities of color on home ownership and financial empowerment. In addition to serving as a Chicago Volunteer Legal Services Pro Bono Attorney, she serves on the Board of Directors and as a volunteer grant writer for the Ezzard Charles Montessori School and Nursery and as a VISTA Attorney for the Legal Counsel for Health and Justice. 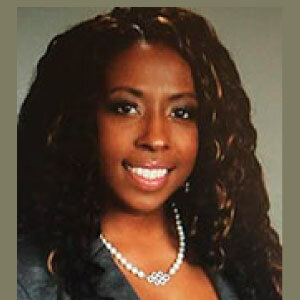 She received her Bachelor Degree and Juris Doctorate from Saint Louis University, where she was active in student associations, including the Black Student Alliance, the Student Legal Defense Fund and Environmental Law Society, the Law Review, and the Black Law Students Association (where she served as the Event and Fundraising Chairperson). Ms. Senter is a member of New Faith Baptist Church.